Forest School builds on a child’s innate motivation and positive attitude to learning, offering them the opportunities to take risks, make choices and initiate their own learning experiences. The Forest School learning environment provides opportunities for children to develop their self-esteem and self- confidence. It enables them to form positive relationships with others, develop a growing awareness of their own emotional needs and the needs of others. Forest school supports the development of cooperation and teamwork with their peers and adults alike, as well as developing strategies for taking risks within the safety of the natural environment. Shepton Mallet Infant School and Nursery’s Forest School is designed to enhance and complement our day to day curriculum in both Foundation Stage and Key Stage One. It offers all our children opportunities to develop confidence and self-esteem, and to experience challenge and achievement in our Forest School garden. Our Forest School sessions are designed to provide increasingly diverse opportunities for children to benefit from a supportive curriculum that helps children build positive values and attitudes about themselves, learning, and the environment in which they live. Children are given appropriately challenging and achievable tasks that build their confidence, skills and independence, and are given the time to thoroughly explore their thoughts, feelings and relationships. This time to reflect upon the experiences they have had has a positive effect on the children’s attainment back in the classroom. 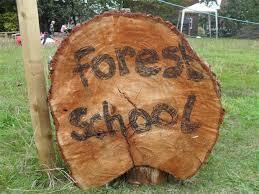 Our Forest School sessions are about exploring and experiencing the natural world through practical activities. The children go out in all weathers, all year round (safety permitting), exploring and learning from the four seasons and environment changes. The children’s interest along with the varied natural resources in our Forest School garden are used to stimulate creative thinking, problem solving and ‘real life’ skill development, all in the guise of play.